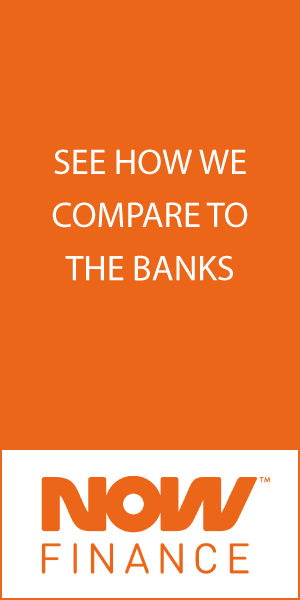 Did you know you can compare 100’s of car loans? Browse, filter and on our main car loans comparison page. Driving a new car is probably everybody’s dream even if you do not have the required cash to buy one. You can now fulfil your dream through the many banks and other financial institutions that are out there to help you purchase the latest model of your choice. You simply need to consider your ability and willingness to pay the loan back. When it comes to the purchase of a car, you have the option to choose from a new or a used car. However, there are some advantages of buying a new car rather than go for a loan to pursue your dream. Buying a new car is great option. Though consider whether buying a new car, provides you with more value than a used car. When you want to sell your car off, the selling price could be much lower than the purchase price. According to RACQ, the all-inclusive cost of running a car could vary between $115 for a small car to $240 for a 4WD. How much can you afford? Be sure to take that into consideration before making choice on your new car. Just like every coin has two faces, there are disadvantages of buying a car as well. Any vehicle is subject to wear and tear, and there is a huge cost for depreciation associated with automobiles. The moment you drive it off the showroom, the depreciation meter starts running on the reverse and bring the value of your car. Moreover, the prevailing economic condition and easy availability of credit for premium cars, has reduced the resale value of used cars considerably. When you want to sell your vehicle, there are a lot of hassles that you may have to face. You would certainly not want to sell your car at a paltry amount and therefore have to wait and look for better buyers. Moreover, when you want to sell your car, you would have to bring it up to the proper shape and thereby make some minor repairs to make it look good and sufficiently functional to the potential buyer. Leasing a car depends on your ability to service a loan. Therefore, if you are found to be eligible for a higher loan amount, then you can buy a better model on loan which you probably could not afford from your pocket and may have to be content with driving a less prestigious model. Also, you would retain your new car for a longer time to spread the cost over time during which your vehicle acquires the first look, and you have to satisfy your dream driving such an old car. Therefore, after balancing the advantages and disadvantages of a new car if you think that it is better to buy a new car on loan and pay less as down payment and the rest on equated monthly instalments, you probably would make a wise decision. It is possible to own a new car with a portion of the price of it as down payment, and the rest spread over a long time which you could pay at your convenience and according to your affordability. All you have to do now is to find a right lender to get the perfect loan to purchase your dream car. Like all other loans, you should shop around for the best finance, consult with more than one new car loan provider and compare their rates, fees and features. You must also ensure you have a good credit history for the provider to offer you with a better opportunity to get the loan you require.